An official Teenage Mutant Ninja Turtles game made just for your young learner! The Teenage Mutant Ninja Turtles: Half-Shell Heroes app invites your child to join Leonardo, Michelangelo, Raphael, and Donatello on an action-filled quest through the sewers and streets of New York City. Help the TMNT battle the bad guys, practice ninja skills and take on exciting missions! Go on an adventure to save the city – one swipe at a time! Use critical thinking to overcome a series of challenges! Swipe power-ups and receive help from popular characters like April, Splinter, and Casey Jones! Use pre-k STEM skills to prevent M.O.U.S.E.R.S. from flooding the sewers, Footbots from attacking, and the Kraang from invading! 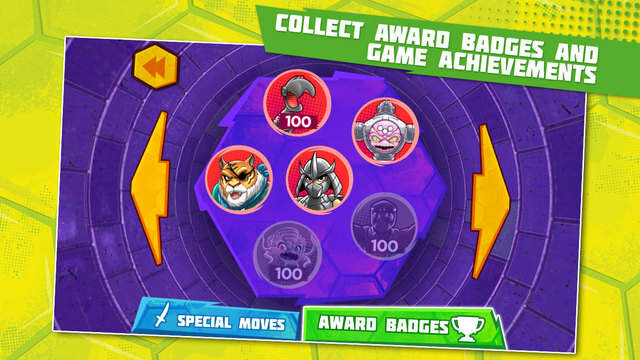 Collect award badges and game achievements! When your child completes the adventure the game isnt over! They can continue to master their Ninja Turtle skills in Splinters Dojo, where they have quick access to the STEM games. Kids will love playing these increasingly challenging modes of the game again and again to improve their high scores! 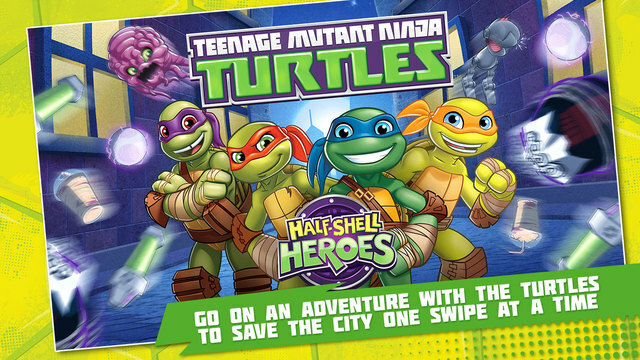 Download the Half-Shell Heroes app on your iPhone or iPad today and watch your little one become a BIG hero! 2016 Viacom International Inc. All Rights Reserved. Nick and all related titles, logos and characters are trademarks of Viacom International Inc.